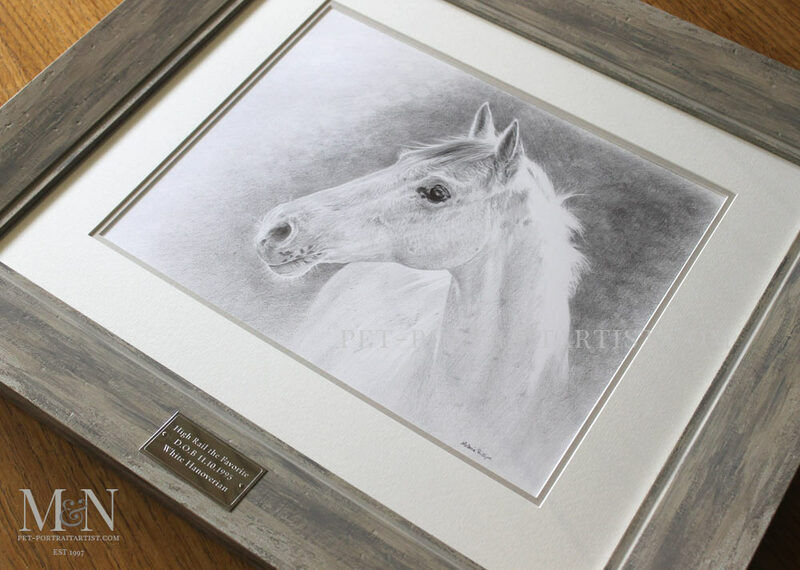 Welcome to my beautiful horse pet portrait of Favourite! 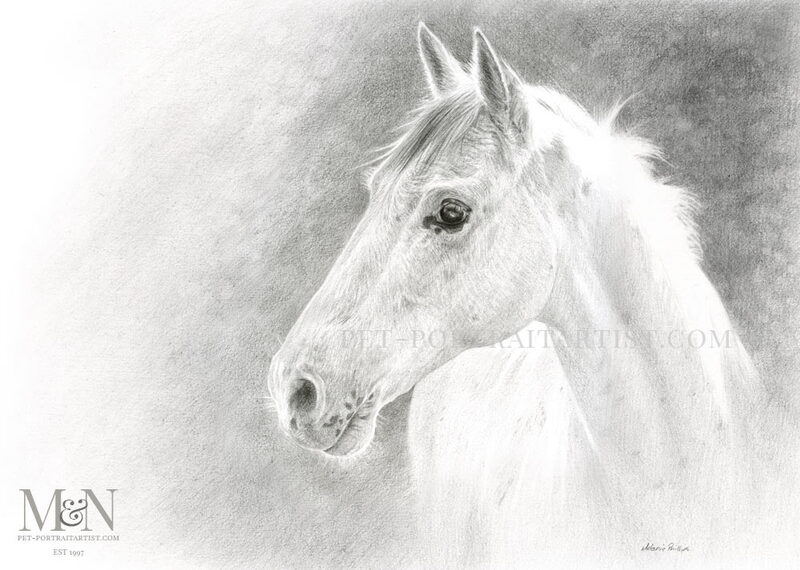 Carrie from Sydney, Australia, emailed to ask if I would be able to draw her sisters horse called Favourite as a birthday surprise. She had one particular photos she loved and wanted me to use for the basis of the drawing. Carrie decided she wanted the portrait drawn at 14 x 11 inches. Consequently I suggested to Carrie that it would be great to include the dappled shaded background, to allow Favourite to stand out. Therefore we could include all of the lovely light within the scene. 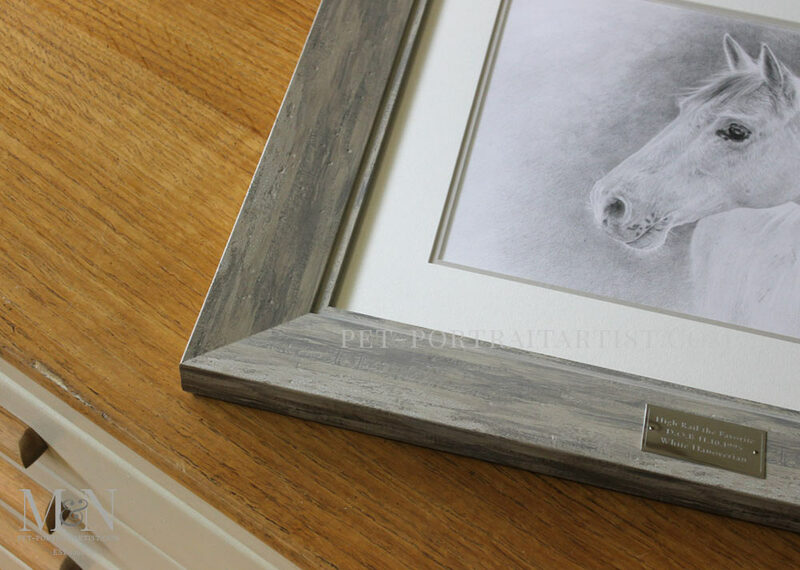 You can see a few photos of the framed portrait and plaque along with photos of the portrait with my pencils to show scale below. 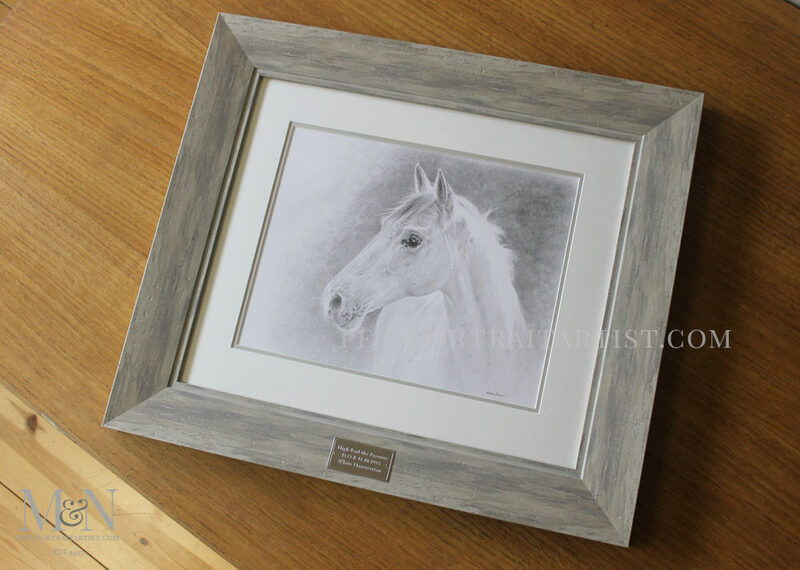 Favourite’s drawing works beautifully with the Windsor Wash frame and the double mount of hayseed and pale grey. The engraved plaque is also beautiful. It has to be my favourite plaque to be commissioned from our engraver so far! The shape is fantastic, with the detail border line and the text is completely balanced. 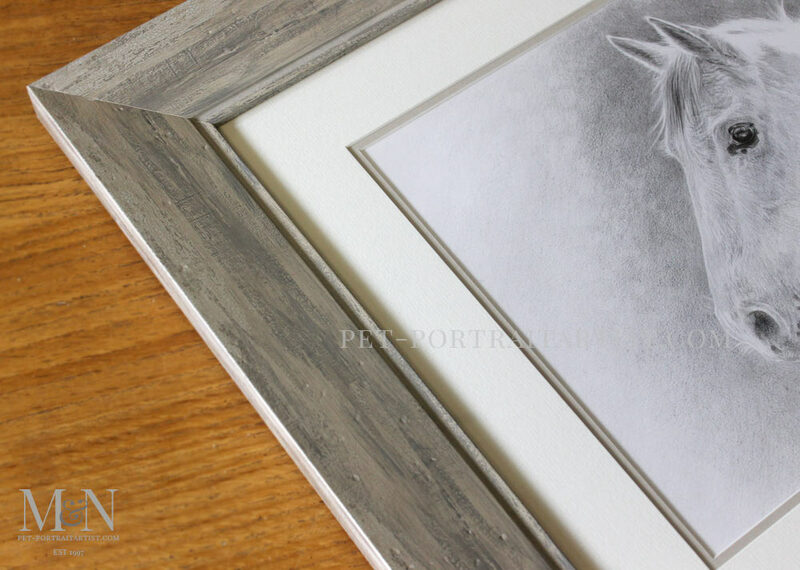 The silver colour we chose works so well with pencil drawing too. 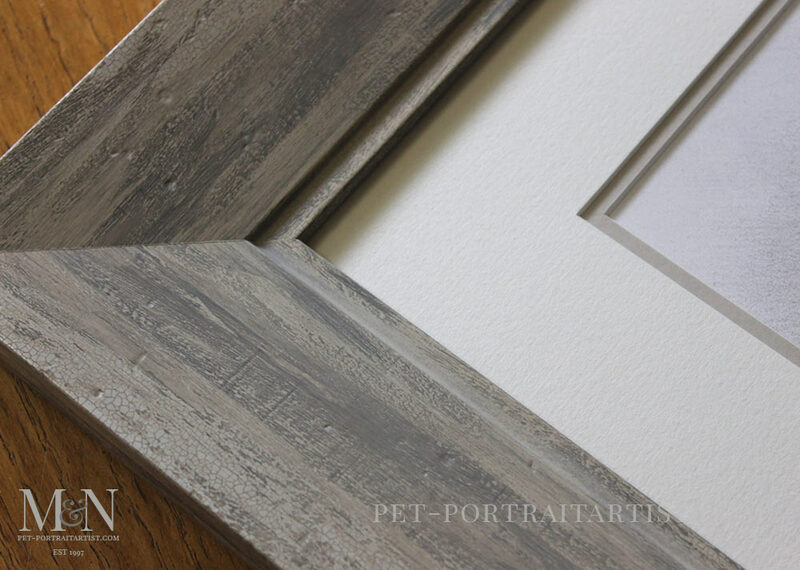 Why not view my updated Windsor Wash Framing Gallery and see the new photos displayed on my website. 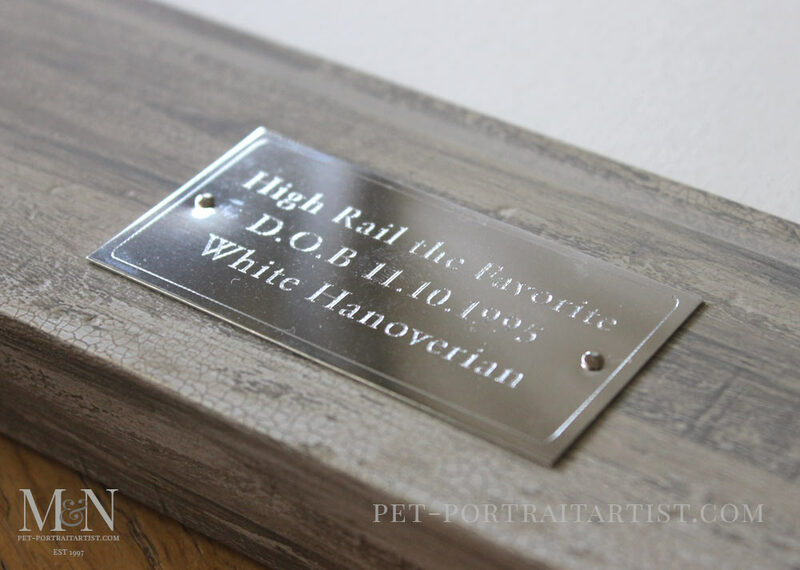 Visit our Engraved Plaques Gallery. There are lots of new photos on there for prospective clients to view. 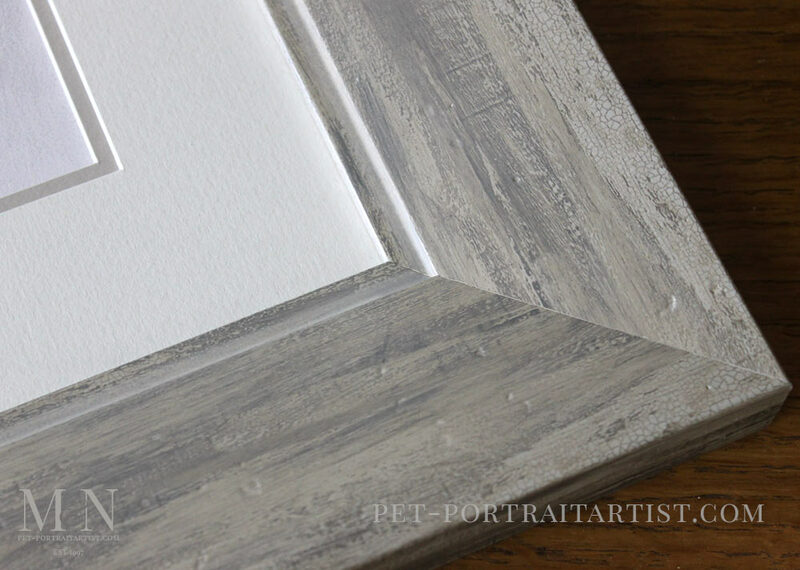 Our plaques really do finish of the frames beautifully and you can have them in Gold, Silver or Bronze.